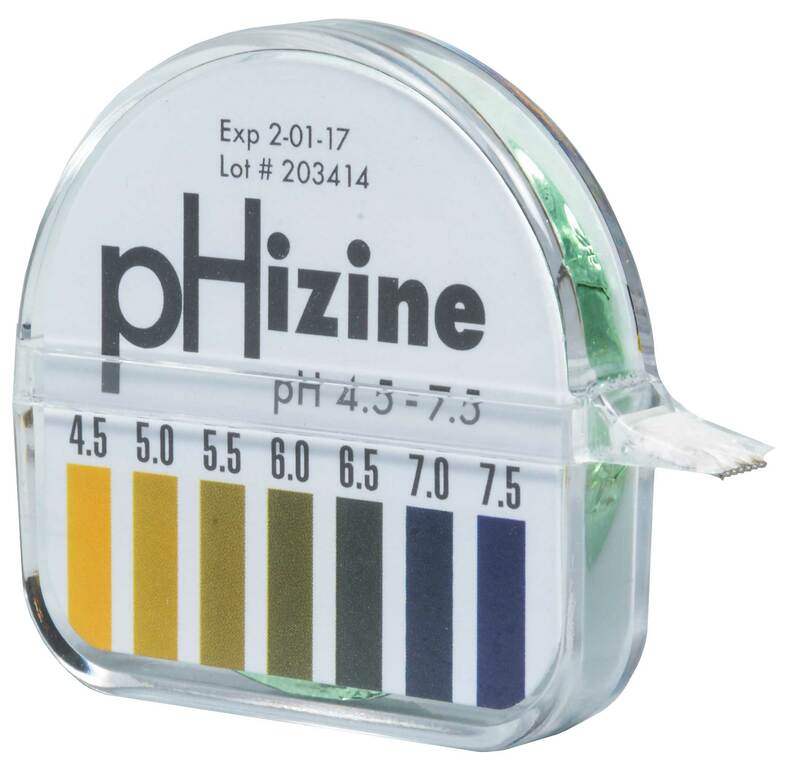 pHizine pH test papers, for fast and easy determination of pH values between 4.5 and 7.5. Color matches every 0.5 unit. Used by hospitals, clinics and health specialists to determine the reaction of urinary, vaginal and salivary secretions. Single roll of 15 feet (4.6 meters), paper, pH scale 4.5 to 7.5, increments of 0.5, provides approximately 100 tests. 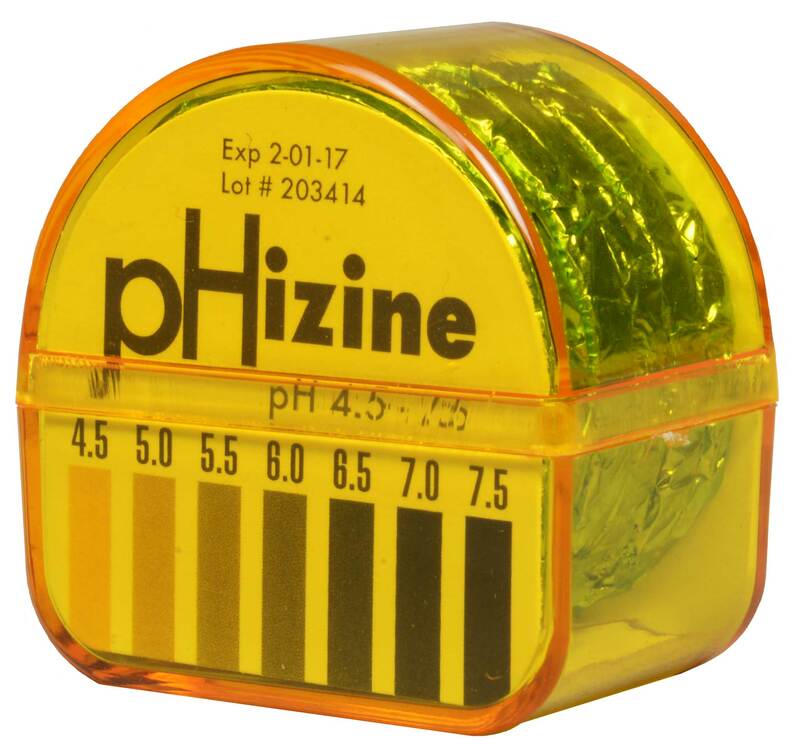 For our heavy users, refill boxes containing 5 rolls of pHizine., provides approximately 500 tests. Please contact us for prices. Preferential pricing for health professionals and specialists. Thank you! V. de la Rocq Enr. – Laval, Québec, Canada | Exclusive owner of the pHizine brand in Canada. © 2018 V. de la Rocq Enr.